CassPort®. It’s one of the freight payment industry’s most powerful business intelligence platforms. Cass clients rely on CassPort as their main source of accurate transportation expense data. What makes it such an invaluable tool? First, we aggregate and normalize data from many sources – including bills of lading, shipment documents, carrier invoices, third-party sources, and more – which supports both audit quality and a valuable information database for reporting purposes. And when Cass manages your freight invoices (including package-level detail) for domestic & international; inbound and outbound; all modes, etc., you truly have one global view of your transportation costs. Sometimes, visualization is the most powerful way to consume data. When you engage with Tableau® dashboards inside CassPort, your data will come to life. Display your most important metrics in dashboards, so you can see them any time, without effort. 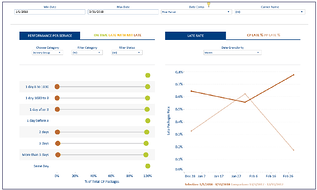 Compare time frames or drill deeper into a data category in seconds. 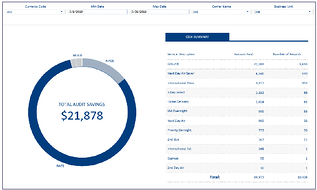 Tableau® lets you quickly see and understand whatever’s important to you. Cass also supports your systems integration requirements. Your freight spend data can be easily delivered to your ERP, TMS, accounting system, or other proprietary systems. Additionally, Cass can implement system integrations with your MRP, TMS, CRM, procurement, order management, and business intelligence systems as well as carrier or 3PL systems. With this much power, CassPort will play a critical role in managing your transportation spend.